I am the worst at car maintenance. Really. I never remember when it is time to check tires or fluids, and I honestly don't even know how to do most routine maintenance things to my car. After the holiday season died down, I sneaked a peek at that handy little reminder sticker in the window of my minivan and realized...wow. We're super way behind on getting the oil changed! Yikes! So, I told my husband I was going to go take car of it all by myself. He thought I was being responsible. 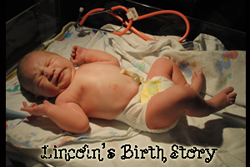 I thought, let's make a less-than-fun errand something amazing. What, you think I'm crazy? Nah. 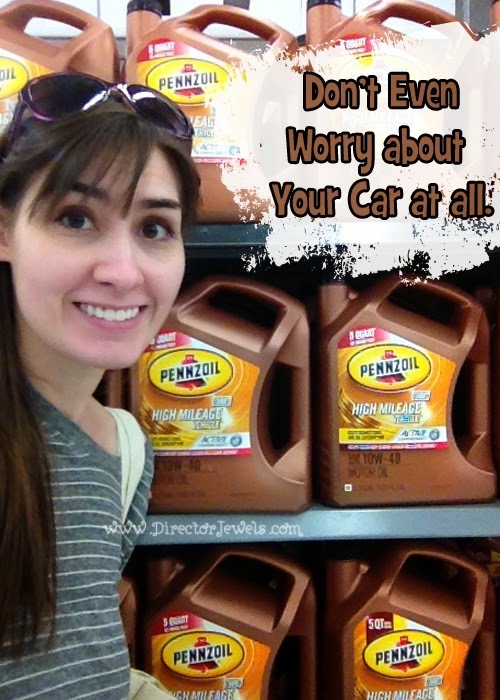 Thanks to Pennzoil at Walmart, I can tackle an oil change and some other errands at the same time! Now, some people might choose to do something "normal" like grocery shopping or stocking up on clearance Christmas storage bins while waiting for their vehicle to be serviced in the Walmart Auto Care Center. But not me. I did pick up some dental floss along the way, but I found some other ways to spend my time, as well. So, without further ado, I give you: 6 Things To Do While Getting Your Oil Changed. This is even more fun if you can start off here when no one else is in the aisle and then startle an innocent shopper. After last year's garden fail, this was a top priority. Feel all the sad feels. It's okay. Maybe. 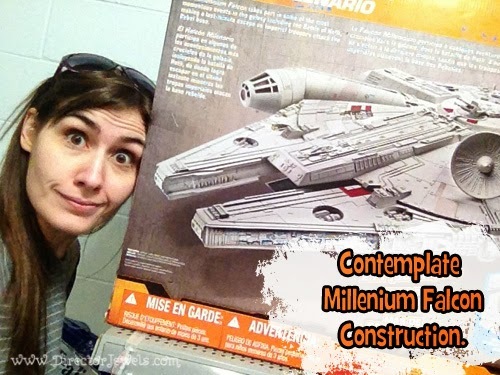 Who doesn't want a giant Star Wars spaceship displayed in their home at all times? 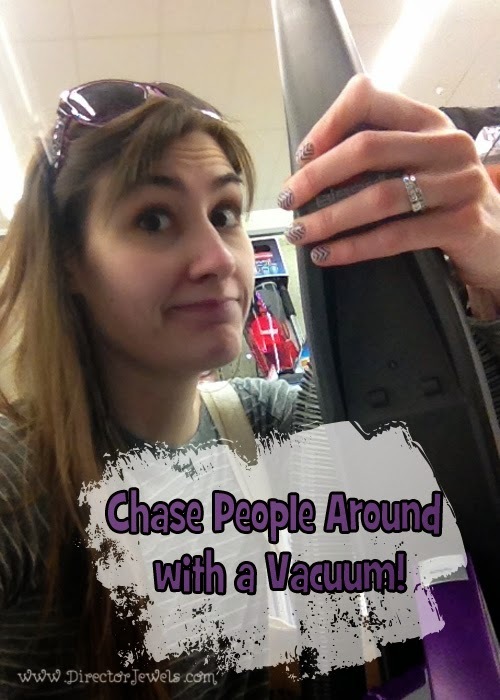 Or, you know, pick out a vacuum for your home. Whichever sounds more entertaining for your personal brand of enjoyment. 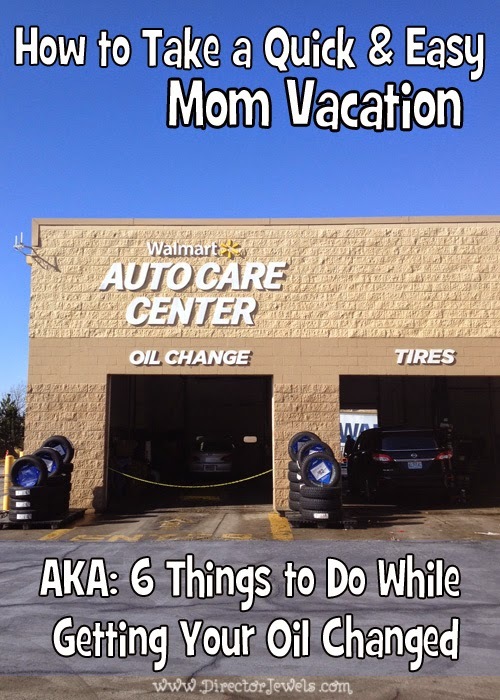 The beauty of getting your oil changed at Walmart is that whether you have time to have a mini mom vacation or you actually need to take care of your errands at the same time, you don't have to worry about your car's well-being. The Auto Care Center will take care of everything for you! Pennzoil is designed for complete protection and allows you to drive an extra 550 miles per year (compared to a car with a dirty engine). Our minivan has only been with us for two years, but it it's been on many travels, has seen far more than 75,000 miles and is well cared for with Pennzoil's High Mileage oil. If, like me, you have a car that's in serious need of an oil change, you can save $5 on a 5-quart bottle of Pennzoil with this coupon. 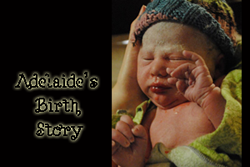 And you can have your own mini mom vacation! Is your car overdue for an oil change? The Star Wars ship was definitely one of the best things I found! I'm also the worst at car maintenance. My check engine light comes on frequently, even though the car shop guys were telling me it isn't anything major. So let's hope nothing is wrong! 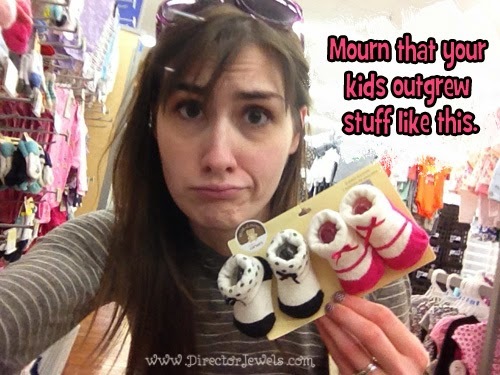 LOL "mourn that your kids outgrew stuff like this" aww!!! I am the worst at taking my car in when a light comes on! Hahaha love this! My family is definitely the worst when it comes to car maintenance! We literally wait until the car is falling apart before we take it in! Glad to know I'm not alone! Haha! I may not be a mom but working with children I found this hilarious! Sometimes it's necessary to just take a mental vacation. Though, I'm guilty for staying in the baby section for a different reason aha! LOL you are so funny! Love it! 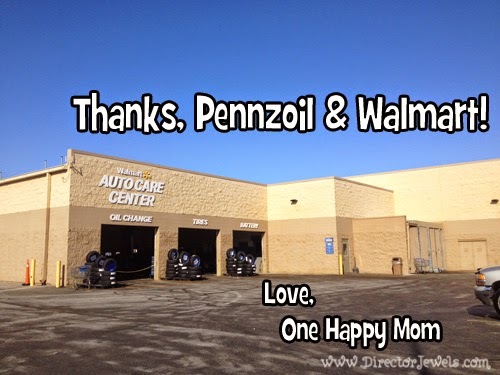 I have never had my oil changed at Walmart before but it definitely sounds nice shopping while you wait. 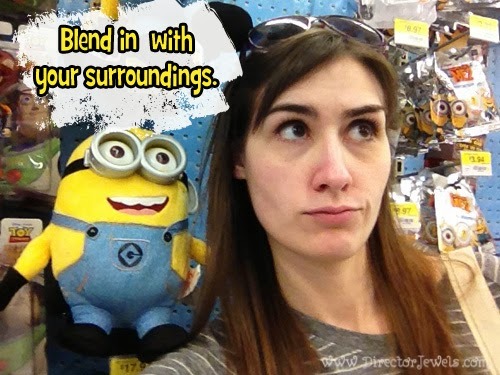 I feel like wherever I go when I run errands I don't actually have time to get bored...I'm like a machine! I do everything at super-speed, lol! I did this too...went to Walmart Automotive Center to get my oil change, and while I waited I shopped for my groceries, had a light breakfast, and even had time to brainstorm some blog posts. :) Love it! Fantastic! I'm not alone! Multi-tasking for the win! My husband takes care of the Maintenance part or else I would have to suffer a lot. These are really some fun tips to do & spend time while getting the Oil changed. 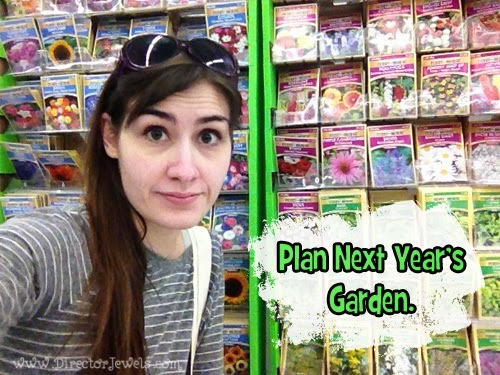 I love the idea of planning next year's garden, lol. Right?! I need to do a better job on my garden next year for sure. One of the reasons I couldn't wait to get married lol! So my husband can deal with all this stuff. Lol! This cracked me up. Just what I needed on this chilly, blah Sunday morning! My local Wal-Mart doesn't offer this service but it sure would be helpful since I'm there all of the time, even though my boyfriend is the one who takes care of the oil changes himself lol. It's so cold today here, too! Glad it made you smile. My husband usually drops off our vehicles at a place by his office to get the oil changed. But on those rare occasions when I take care of it, I definitely go to Wal-Mart. I definitely always choose to accomplish multiple things at once when I can! This is super cool. 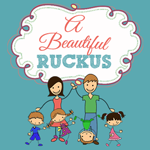 Moms do need a tender loving care and vacation from time to time too! Haha, I lol'd with the the 'mourn that your children grow out of things like this' comment. My brother and stepdad do my oil charge so I usually just go in and chat to my mam when they're doing it. That's awesome. My brother is a mechanic, but he lives too far away for me to take advantage!